Part of the highly successful early intervention programme Reading Recovery for children experiencing reading and writing difficulties. 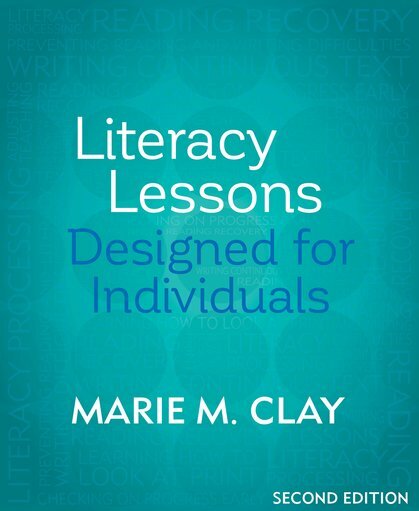 Literacy Lessons: Designed for Individuals, in two parts, provides administrators and specially-trained teachers with guidance for managing Reading Recovery. It answers the questions of Why?, When? and How? individual literacy lessons for young children at risk can be highly successful. This edition contains both Part One and Part Two (previously published in separate volumes). Part One helps practitioners to understand the latest theory and research surrounding Reading Recovery around the globe, giving insight into the importance of teacher-child conversation and exploring the relevance of phonemic awareness, spelling, phrasing and fluency in written language. Part Two is an essential resource to aid teaching of the Reading Recovery programme and is the perfect training manual for practising teachers.